Dr. Sharon Dunnivan-Mitchell joined The University of St. Augustine core faculty in December 2017 from Austin Community College where she served as adjunct professor. She received a Bachelor’s of Science in Physical Therapy from The University of Texas Southwestern Medical Center at Dallas in 1988 following completion of a Bachelor’s of Business Administration in marketing at The University of Texas at Austin in 1987. Her Doctor of Physical Therapy was completed at The College of St. Scholastica in 2017. As a practicing clinician for 29 years, including most physical therapy settings, serving neurologically impaired and medically complex individuals is her area of clinical expertise. 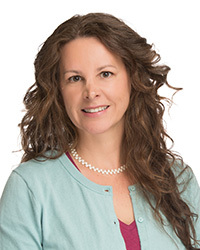 Dr. Dunnivan-Mitchell is certified in Neurodevelopmental Treatment of adults, but dedicated 12 years of her career caring for pediatric clients. She accomplished her Board Certification as a Neurological Clinical Specialist in 2018. Dr. Dunnivan-Mitchell is a member of the APTA Acute Care and Educational sections, as well as the Neurodevelopmental Treatment Association. She continues to work in the acute care and out-patient settings and serves as mentor to many of her clinical peers. She developed an algorithm for evaluation and treatment of the dizziness patient in the acute care setting to bolster team proficiency in the regional hospital where she practices. Areas of interest and future research center around using innovation to enhance quality outcomes in health care. Dr. Dunnivan-Mitchell aspires to go back to her business roots and is considering pursuit of a terminal degree in Health Care Administration, specifically Health Care Policy.